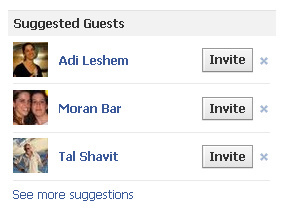 Of course all other plans were forgotten and I hurried to Tal’s Timeline (his wall) on Facebook. I looked for any signs of vandalizing and found none, much to my relief. I asked Koby what it was that alarmed him. Koby Shabaty: “I saw he Liked something… I was a bit shocked". Koby Shabaty: “Totally surreal, sadly there is no date indication". 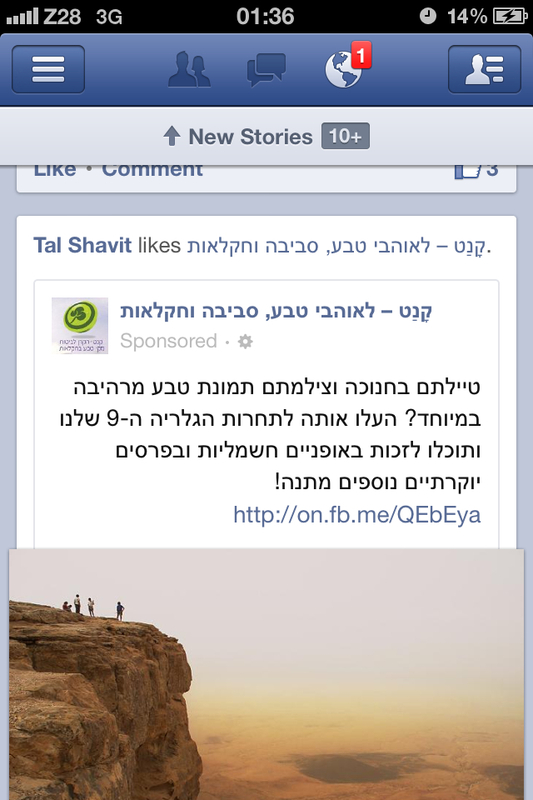 That does look like Tal Liked something after his death. The Facebook spokesman has an explanation: Those are past Likes that Facebook recycles and posts again. Not unlike Readwrite in this post, I admit I find this explanation not entirely credible, or at least not the only explanation. This page, liked by Tal, was indeed created before Tal had died - had it been created after his death it would have been a solid proof - and I have no way of knowing for sure, but I suspect there’s a different reason. 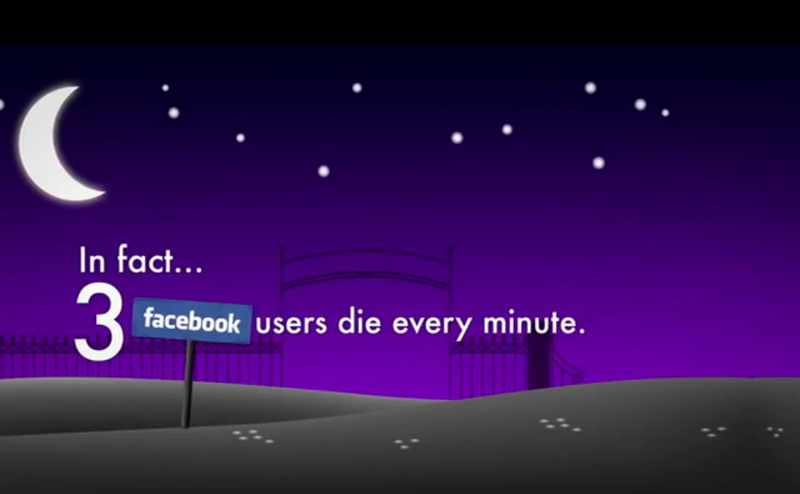 Statistics claim that three Facebook users die every minute. Tzach Ben-Yehuda‏, a lawyer-sociologist whose thesis dealt with anonymity in the web, told me once: “You can’t sell ads to dead people’s profiles on Facebook”, but it’s probably possible to fake their Likes. I don’t know whether it’s a bug or a deliberate malicious act, but I suspect there’s something in Facebook drawing Likes out of profiles. “And this might be the biggest problem with financed promotions of Facebook content. I was staring at this item, that nearly made me cry, for long minutes. She had died two months ago. She probably no longer Likes this page; but I suppose the problem is in her profile’s settings. Surely there is a way to let Facebook know the user no longer lives and prevent such mishaps, and still, it makes me sick". The Facebook spokesman said that, had the profile been defined as a Memorial profile, this would not have happened; no past Like would be re-used. Nobody informs Facebook that the user no longer lives, and their profile goes on functioning as usual. When choosing the latter option, Facebook is unaware of the user no longer being alive, and so treats them as usual - including suggesting the user as a friend for other users, or as a potential guest for their events - as happened to me, when Facebook suggested I invite two of my relatives to an event - and my deceased brother. This hurts, but for me - and this is a personal preference and there are no rights or wrongs in this matter - this is a price worth paying for the profile not turning into a Memorial profile. "In August , Rohan Aurora, a 24-year-old biomedical engineering student and technology blogger who attends the University of Southern California, was on Facebook, reading news about friends back home in New Delhi, India. ...One friend from high school, Lalit Mendhe, had a photo posted on his Facebook page of himself in a hospital bed. He didn't look so bad, Aurora thought. "It didn't seem like he was very uncomfortable". So he made a quip on his wall, hoping to cheer up a friend stuck in the hospital, whatever the cause may have been..... Not long after, he got a message in his inbox from another one of Mendhe's friends. Mendhe, 23, had been in a car crash. He died of cardiac arrest and liver failure in that hospital bed.Aurora immediately deleted his comment. They hadn’t been very close, but would meet whenever Aurora was back in India. Facebook had allowed their bond to survive. It's been four months, and while Aurora misses his friend, he doesn't want to think about his death all the time. He says Facebook is forcing him to.One of Facebook's most loved and loathed elements is the "people you may know" feature. Based upon your location, university or workplace and the people one has friended, Facebook employs a formula to suggest users befriend people they "may know," usually friends of friends. Above a link to "add friend," Facebook shows the name and thumbnail photo of the suggested friend. "One of my good pictures with Lalit, it came up on Facebook and it asked me to tag and identify this person. It's not good. You are tagging him at the wrong time. When I go through my pictures, I see his comment. I am forced to click on his name and look back," says Aurora. "A Facebook profile is an indication that someone is alive. We need to respect one's privacy". 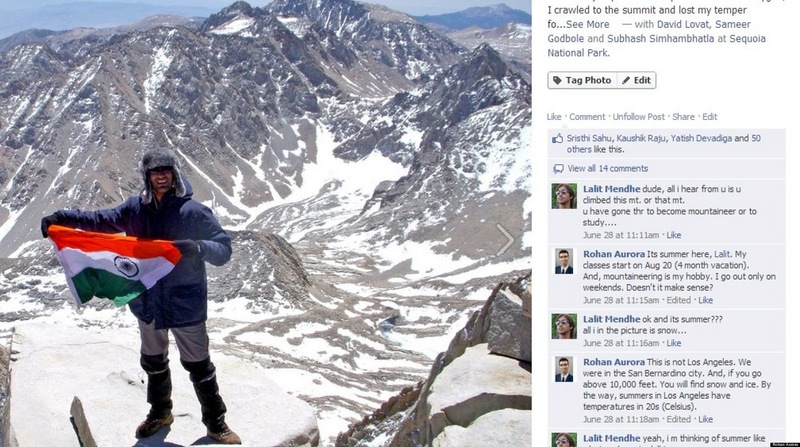 The comments to those photos contain correspondence between Rohan and Lalit, when the latter was still alive. Aurora finds Facebook’s constant reminding him of his dead friend disturbing. This might have to do with him being young, or with the fact him and the deceased were not very close - but at any case, he feels uncomfortable with said distant friend’s profile not having become a Memorial profile. For others however, this Facebook presence of the deceased is far from disturbing; it is very welcome. “I feel he was lost to me for the second time". When a profile changes to a Memorial profile it can no longer be found through search engines, friends of friends can no longer view it - only those who are friends already - some of the content is deleted (the choice of what is removed and what remains is Facebook’s) and the account is no longer accessible, even if you have the password. As explained and recommended in my technical guide, if you have access to the deceased’s Facebook account you should first backup its entire content, seeing as it can become a Memorial profile at any moment and you will no longer be allowed access to it. Following Healla’s case I also recommend to friend-request the deceased with your own Facebook account (open one if you don’t have one already) and approve it from theirs as long as you have access to it - and this way, at least, you will be able to view it even if it’s changed to a Memorial profile. Had Healla read the technical guide at the time, she might have not had to deal with this aspect of the pain, at least. "On Christmas Eve many of her 200 friends posted pictures they had taken with her and recalled their memories. She was very charismatic, very popular. I cried for days". The mother had requested Facebook to remove the profile several times over a few months, and then took legal action. As we can see, the deceased’s Facebook profile can be as much a source of great comfort as it can be distressing, and that the combination of Facebook and death has many varied aspects. I will review those in my next post in this series. Many thanks to Koby for his attention and caring. 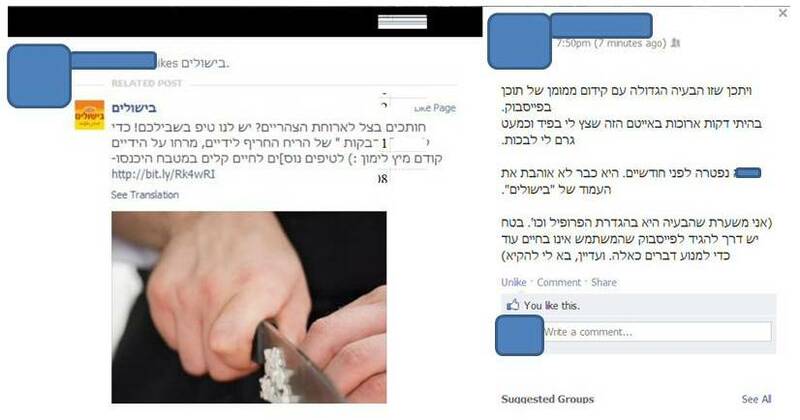 Thank you Aya Shacham-Doman for translating this post.